More than $1 billion in assets from Bernard Madoff's businesses have been found, a lawyer for the trustee trying to recover money for jilted investors said Monday. Sheehan spoke after a hearing in which government lawyers tried to block court-appointed trustee Irving Picard from gaining power of attorney over Madoff's international operation. Sheehan argued that power of attorney over Madoff's accounts is an important tool, especially since actions may need to be taken quickly in foreign countries where things can happen to assets without warning. For instance, Sheehan said, the trustee has been told that French authorities were planning to seize Madoff's chateau in Cap d' Antibe, France. The property was estimated by Madoff to be worth $1 million at the end of 2008, with $900,000 in furnishings and fine art inside it. "Those things happen almost daily," he told U.S. District Judge Louis L. Stanton, saying the trustee needs a strong hand in dealing overseas. She said any assets in Madoff's international business account should be held in escrow, although prosecutors could agree to allow some movement if action is necessary to protect them. "It has nothing to do with mistrusting the trustee or anyone else," she said. "The trustee has not explained why the trustee needs this power." 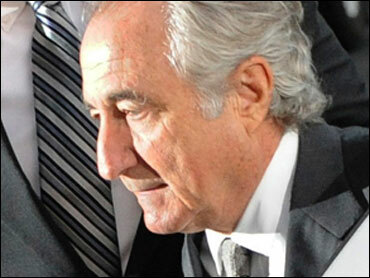 She said there were "criminal implications" involved in Madoff's international securities business. The judge did not immediately decide the issue.